Sept. 16 (NBD) -- The 2018 Chengdu International Bookstore Forum was held in Chengdu last weekend. 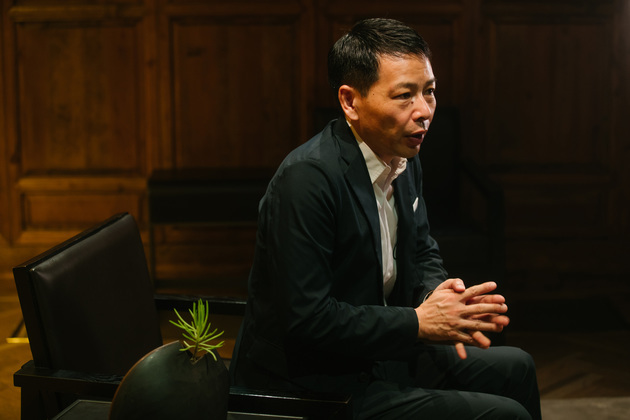 Japanese life aesthetics master Matsuura Yataro was invited to the forum to share his insights for living a beautiful life. Matsuura has run a bookstore for 15 years, has been serving as editor-in-chief of Life Magazine, a well-received Japanese publication, for 9 yeras, and has been writing for more than 20 years. He spent much of his life on books. "Cherish every moment in your life because it would influence you in the future," Matsuura said. Life is about love and caring, and the bookstore is a place to comfort the soul, to show warmth, to express love. "There are four people in my family, my parents, me and my sister who is two years older than me. We live in a small apartment in downtown Tokyo. Every day when the sun rises, my parents would get up and go out to work, and would return home after sunset," Matsuura talked about his family and childhood, and he said he felt very lonely during his childhood. Matsuura said it is the bookstore that kept his company when he was a little boy. "My parents worked so hard to raise my sister and me so they came home very late every day. Returning home from school, nobody is there waiting for you. Empty apartment scared the little boy but fortunately, there was a small bookstore near my home. I went to that bookstore every day before my parents came home," Matsuura said, "For me, the bookstore eases my feeling of loneliness and it is a place to comfort my soul." When he went to San Francisco, life was lonelier there at first due to his poor English. Various bookstores on streets reminded him of his childhood in Japan, and this time, it is still the bookstores that offered him warmth to live in a foreign country. Reading has been an indispensable part of his life, Matsuura told NBD. 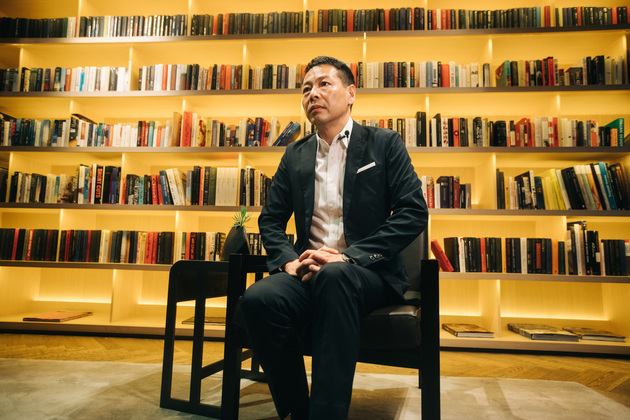 When asked about the connection between reading and city, Matsuura said to NBD, "One of the great pleasures of reading is that when we immerse ourselves in reading, sometimes we look up and we can see the city, the people passing by, and the life. That's why I really enjoy reading in parks." Running a bookstore, being an editor-in-chief, and publishing recipes, Matsuura seems to be a man who keeps trying new things. "I want to convey what I feel to more people in a purer way. That's the motive for these attempts," he said to NBD. Regarding the future plan, he said that he does not know what he will engage in later until he notices it. Life is a process to find out what impresses you and drives you to pursue. Matsuura is known for his art of living. When asked about whether he was ever surprised that there are so many people who do not know how to live, Matsuura shared his concern about technology. "In Japan, because of the Internet, things that have been inconvenient in the past can be completed very easily now, thus enabling people to do more things in a day and making them busier than before. Both the body and mind feel exhausted and people are gradually realizing that they cannot live this way every day. They are uneasy about the increasingly full schedule but they do not know where to start or how to live comfortably," Matsuura noted. "Sometimes the sense of satisfaction is linked with how much time you spend on the thing," he said. He urges people to think about how to live with the technology comfortably rather than relying on it. Speaking of the concept of life, Matsuura stressed the significance of interpersonal relationship during both his childhood and middle adulthood. "When I was young, I thought all kinds of relationships constitute our life. We met our neighbors every day, we talked, we shared and we helped each other. However, equipped with new technology today, it seems that we do not need neighbors to help us anymore. People become indifferent and life becomes lonely. The Internet makes people have the illusion that 'I know everything', which is very scary," Matsuura said to NBD. Life meant various relationships in the past while it centers on technology today. "People even do not need face-to-face communications. We should always be caring and that's the point of living a better life," Matsuura stressed.